iPhone 5 set for NFC tech? Apple has filed for a patent to take ownership of a feature, which would allow users of iOS devices to 'gift' iTunes content using NFC tech. The filing, uncovered by Patently Apple, would encourage iDevice owners to send music playlists or even movies, TV shows and apps from one iPhone or iPad to another. The exchange, which would take place via a Near Field Communications chip, would come at a cost to the sender, although there was no mention of whether the content could be sent at a reduced rate. In the diagrams that accompanied the patent filing, users can also personalise the gift with an image and a voice memo. iPhone 5 set for NFC? Of course, none of the current generation of iOS devices boast NFC tech, but this patent filing will enhance the rumours that Apple intends to include the chip within the next iPhone. However, this isn't a new idea completely idea. The filing was originally made by Apple in 2008 and was updated in 2011. So, Apple has been thinking about integrating NFC into its mobile devices for at least four years. 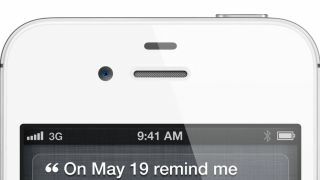 Will 2012 finally be the year the iPhone brings the future-thinking communications tech on-board?